So you’ve finally decided to install new gutters. Now comes the part where you have to choose exactly what type of gutter system will work best for your home. 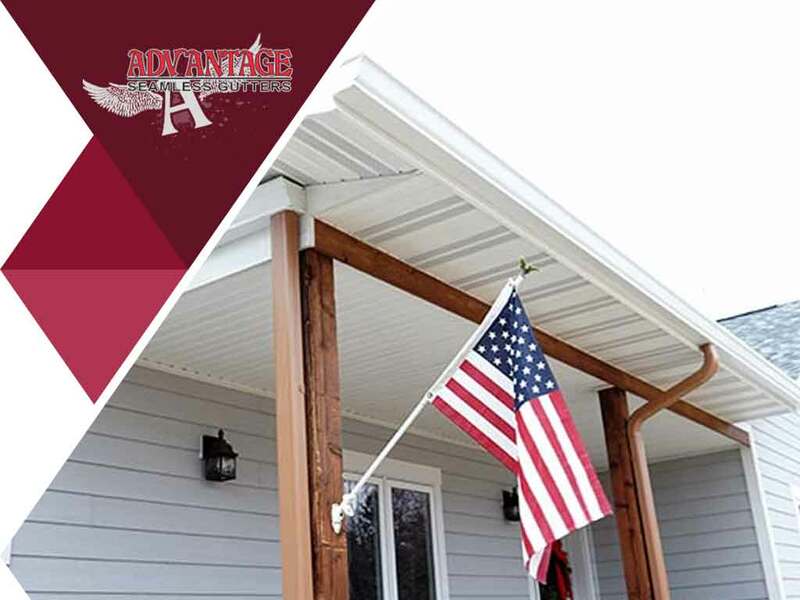 Read on as your gutter installation company Advantage Seamless Gutters simplifies the selection process by showcasing the features of perhaps the best gutter system on the market—seamless gutters. There are two basic types of gutters: sectional and seamless. The former is ideal for homeowners who prefer DIY projects and don’t mind the risks of leaking gutter sections. On the other hand, seamless gutters are best for those who, like you, are looking for a more visually pleasing and efficient gutter system. What makes seamless gutters the superior choice? For starters, they come in a wider variety of colors. Additionally, their uninterrupted length doesn’t just provide a smoother and more coherent look for your home, but it also reduces the risks of water leaks throughout the entire length of the eaves. Seamless gutters are typically made of aluminum, but you may also choose copper gutters for an extremely durable and visually striking gutter system. Seamless gutter installation involves a process called gutter run out, where your gutter installation contractor will roll-form continuous gutter material (usually aluminum) and will form it into your preferred gutter type on the spot. Seamless gutters can span the length of your entire roof. Seamless gutters come in various shapes, but the two most commonly used styles are half-round and K-style gutters. They each have their advantages. The open-faced design of half-round gutters allows water and debris to flow freely, reducing the chances of clogging and making them easier to clean. Half-round gutters also offer a timeless look to any home. On the other hand, K-shaped gutters remain the most popular gutter profile among the majority of homeowners, courtesy of its long-lasting durability and higher water-holding capacity. K-style gutters come in 5-inch or 6-inch variants, depending on the structural specifications of your home. You may clean the gutters yourself, but you may want to hire a gutter cleaning service provider for a more efficient and thorough cleaning, especially for K-style gutters. Turn to Advantage Seamless Gutters for excellent and properly installed seamless gutters. You can reach us at (218) 212-1818. We serve St. Cloud, MN and and beyond.